A four weeks program (June 4 to June 29) focusing on applications of computer and information technologies in interdisciplinary projects for marine and terrestrial wildlife conservation. To exercise and apply engineering and computer science basic knowledge to real-world problems, thus discovering practical skills that will compliment the theory learnt by students within the classroom. To expose and immerse students to the region’s important issues in wildlife, ecosystem sustainability and conservation, while also motivate the use of IT in environmental research and conservation work. To broaden the horizons of undergraduates through international/cultural experiences and interaction with students from other universities and countries. To prepare students for leadership roles through projects and courses where they exercise critical thinking skills, people skills and learn about how to solve compelling environmental problems in an inspiring setting. 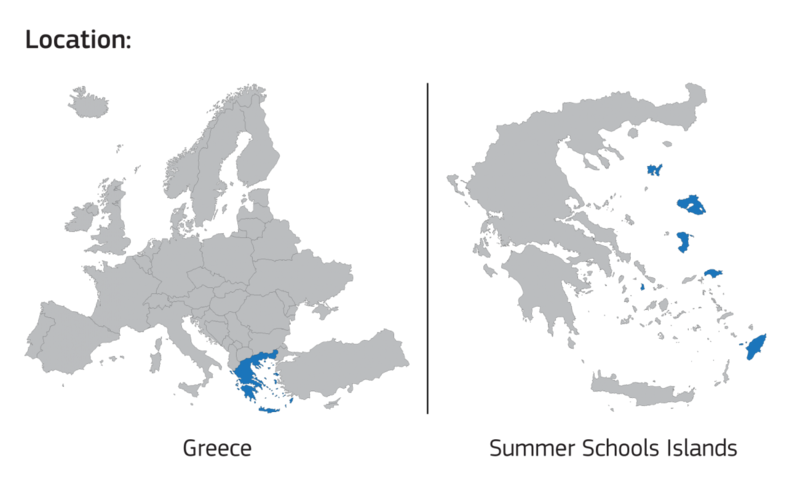 The MAENDI school (Modeling and Analysis of Environmental Data using ICT) is core part of the 2012 CSE/BIO Study Abroad Program, organized by the University of Texas at Arlington, NCSR Demokritos, University of the Aegean and Archipelagos Institute. Understand challenges associated with marine conservation and environmental sustainability. Introduction to database, storage, collection, modeling and data mining issues. Develop methodological skills for the sciences and combine with data processing. Review literature on conservation and sustainability and learn to critically evaluate. Study issues that cross over technical, social, political, cultural and international boundaries. Understand how to do team based interdisciplinary research and learn to collaborate with students from conservation related disciplines, marine biology and others. Learn how to establish working relationships from student-interns who are part of the Archipelagos Marine Institute of Conservation and may come from other countries and universities. In parallel to lectures, surveys, discussions and team interaction, each team will document and shepherd a project, present it to faculty and project coordinators, test different computational methods of analysis and maintain web-based records as the project evolves.